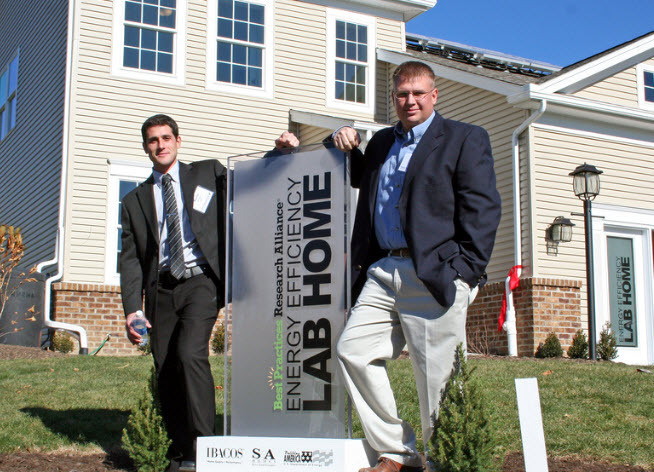 The pomp and circumstance that took place on November 11th at the ribbon-cutting ceremony of the nation’s first net-zero energy lab home was an appropriate way to celebrate the accomplishments of both S&A Homes and IBACOS during 2010. The two companies have worked closely over the course of this past year to build a real-life ‘research project’, so to speak, that will continue to push the envelope to develop affordable, cutting-edge technologies for new home builders for years to come. 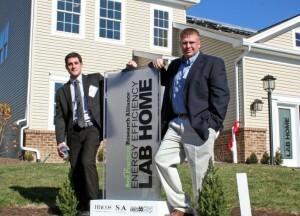 The home features a multitude of different energy-saving technologies, each of which will be closely monitored over the next two years, thanks to on-site computer-based testing that will not only simulate the ‘typical’ energy consumption of today’s modern family, but more importantly, use that data to see what works and what doesn’t. 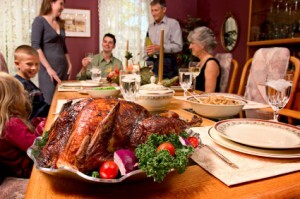 Home is Where the Turkey Is! Happy Thanksgiving! Here’s wishing you a holiday filled with your favorite people and your favorite foods. Whether you like to spend the day watching the parades and football, napping, planning your Black Friday shopping or some combination of it all, we hope your Thanksgiving Day is everything you’re hoping for and more. S &A Homes takes Operation Organize Simplify into a room that may be small but can throw a big punch in the way of bringing order to your entire home. It’s the mud room, and as the first place most family members enter the home and the last room they see before they exit, it presents many opportunities for organizing the stuff that makes its way in (and needs to be ushered out). 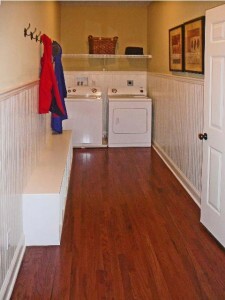 A previous post on drop zones offered ideas for organizing areas such as mudrooms, which are often the ultimate drop zone. Pegs and hooks make hanging up a jacket or backpack easy and fast. A bulletin board can help organize the paper clutter that enters your home as soon as it passes the threshold. The Gettysburg Address. The Civil War. Abraham Lincoln. For most of us, these are the images we conjure when we think of Gettysburg, Pennsylvania. 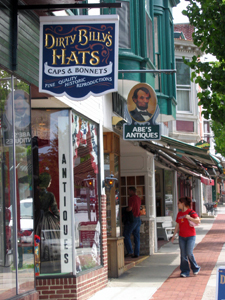 And while Gettysburg is steeped in rich history that has forever impacted the face of the United States, there is more to this quaint town than meets the eye. Bistros and old fashioned ice cream shops, outlet shopping, and a myriad of events for historical buffs along with some of the most beautiful architecture in Pennsylvania, are just some of the reasons so many people choose to make Gettysburg their second home or to retire there. If you are looking at Gettysburg new homes, S&A Homes’ Deatrick Village community is home to many happy homeowners who have found out that living in style does not have to come with an expensive price tag. With prices starting in the $180’s for a brand new carriage homeand the $220’s for a single family home, residents get much more than just a roof over their head. Any resident of State College, Pennsylvania, Penn State’s home town located in the heart of Happy Valley, can quickly recite all of the unique aspects that make the area so special. Top rated-schools and a close-knit community with world class amenities, shopping, and dining are just some of the aspects that frequently propel State College to the top of the Best Places to Live list. The continual growth of industry in the Centre region along with job stability boosted by Penn State University help support the strong housing market in this area. 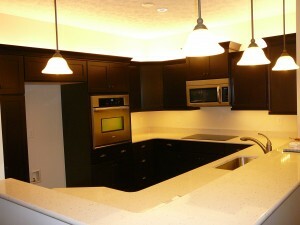 Thus, it is a rare find to pick up a new home that features all of today’s modern amenities from the $170’s. In fact, outside of S&A’s most popular new home community, The Landings, it is virtually impossible to find a family-friendly community located just minutes from downtown State College that features such affordable prices. 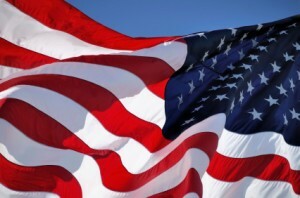 In the home building industry, we often talk about owning a home as the fulfillment of the American Dream. While helping new homeowners design and purchase the homes of their dreams is one of the most rewarding aspects of our jobs at S&A Homes, on days like this we are compelled to step aside and give credit where credit is due. Americans can dare to dream of owning a home because generations of veterans have fought for the more basic tenets of our society. Because they were willing to give their lives, our soldiers have insured our freedoms to speak, worship, earn a living as we wish, vote, and so much more. And they have worked at home and abroad to protect us from those who would do us harm. Because of our soldiers, we can live confidently and not in constant fear for our safety. We can have the audacity to establish roots for our families and plan for generations to come. Without their sacrifices, many of the realistic goals set by U.S. families would be more like unachievable fantasies. Thank you, Veterans, for protecting a country where we not only dare to dream, but where we also have the ability to work and make dreams come true. It’s Saturday morning, and the main floor hallway has become treacherous as piles of the week’s dirty clothes form a queue outside the laundry room door. 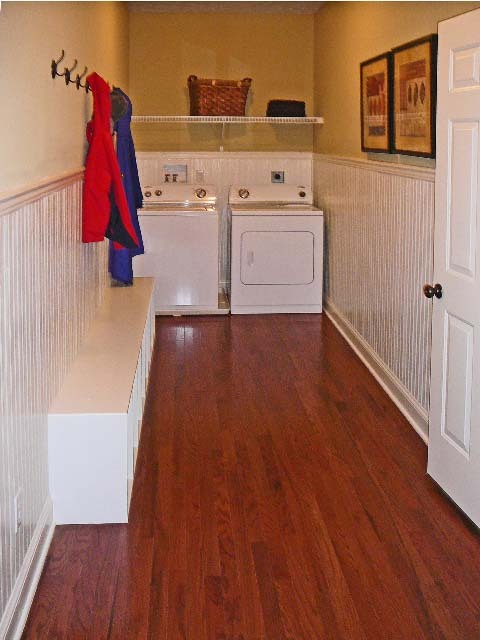 The downstairs laundry room is convenient to the kitchen and main living areas where family members spend a lot of daytime hours. 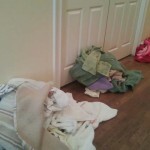 Unfortunately, when not being worn or used, most clothes and towels tend to hang out upstairs. The average family does 10 to 12 loads of laundry each week, creating about 80 times a month that someone is lugging a laundry basket up or down the stairs. It’s no wonder you’re tired! 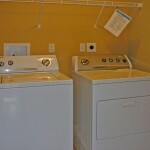 That’s why many buyers Pennsylvania new homes are choosing a second floor laundry room instead. 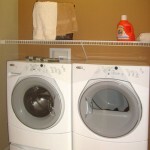 An analysis by the National Association of Home Builders (NAHB) found that about 80 percent of homes built in 2009 had the laundry room on the first floor. S&A offers this option, but we’re also finding more buyers interested in alternatives. Last Tuesday, builders from around the country braved the windy, wet weather for a sneak peak at the nation’s first net-zero energy home. 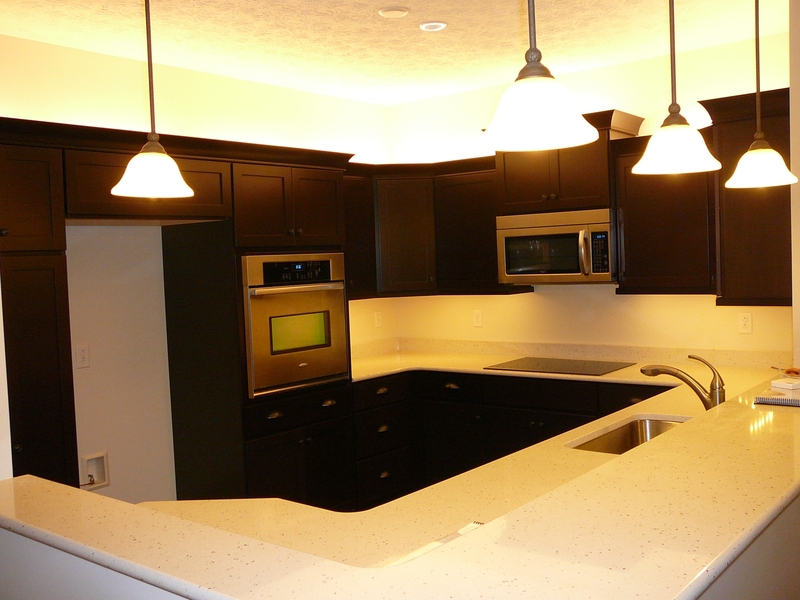 Located in Ohio Township, the home, built by S&A Homes, boasts some of today’s newest home technologies and will serve as an ongoing research project for IBACOS, the Pittsburgh-based think tank that is dedicated to helping homebuilders develop quality, high-performance homes.